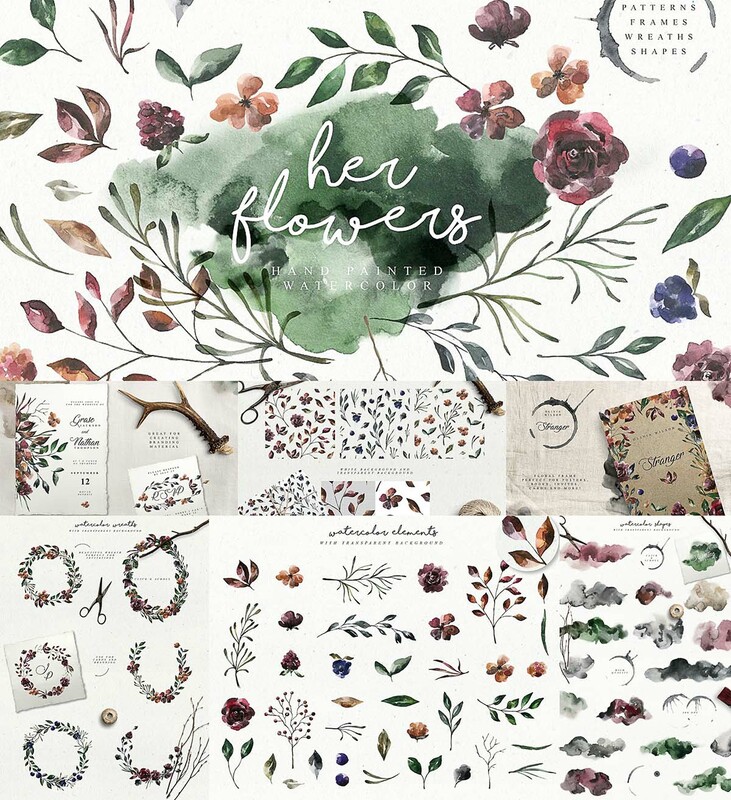 This collection contains many ready-made graphics: patterns, frames, shapes and wreaths. But also a big variety of individual elements: flowers, florals and shapes. What’s in the package: 38 individual elements, 22 watercolor shapes,16 frames, 6 wreaths, 3 patterns. 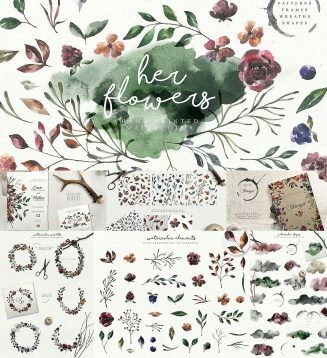 Tags: floral, floral invitation, floral wreath, flower, identity, illustration, laurel, nature, pattern, rustic wedding, splash, watercolor, watercolor wedding, wedding invitation.